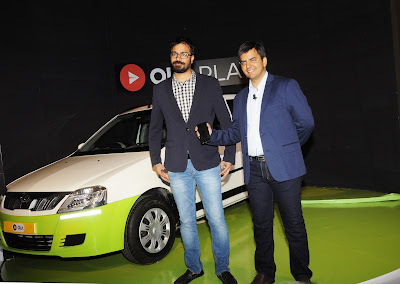 In a global first, Ola, India’s most popular mobile app for transportation has launched ‘Ola Play’, a connected car platform for ride sharing that will transform the in-car experience for users on the go like never before. Ola Play is powered by proprietary in-car and cloud technologies from Ola, by bringing advance car controls, choice of personalized content and a fully connected interactive experience for the user. The platform hardware is a first of its kind solution built by Ola in partnership with Qualcomm. With this, Ola raises the bar globally, on a connected in-car experience. Beyond offering a highly personal, experience for users during their rides, Ola Play also allows various partners like Apple Music, Sony LIV, Audio Compass and Fynd to build a high quality interactive experience for users. Mahindra and Mahindra, as part of its strategic partnership with Ola, is deeply integrating this technology in its vehicles, enabling both companies to build holistic solutions for the ridesharing world.